HELPING WOMEN FIND THEIR VOICE AND STRENGTH THROUGH ONLINE FITNESS AND WELLNESS COACHING. SITAFITT is an Online Personal Training Service for WOMEN. As a company, we encourage all women to find their VOICE and STRENGTH through fitness. SITAFITT programming isn't just about physique progression but we are determined to equally create your STRONGEST MINDSET that gives life to lost confidence. SITAFITT is here to encourage, support, inspire and educate you to build the BEST version of yourself inside and out! I believe that all women have a VOICE that needs to be heard and all women have CONFIDENCE that is worth being discovered and unraveled. Building strong and confident women to conquer their PURPOSE and POSITION. These women are the future. Kristie is the founder and head trainer of SITAFITT working to encourage and educate women on the importance of fitness and finding their voice and strength within. After surviving a life threatening boating accident in 2014 the only way Kristie recovered was through her pursuit of fitness and dance despite the adversity she faced of the amputation of her left hand. Kristie is determined to help other women through SITAFITT to come back into their light and discover the power within them after building a strength based confidence both mentally and physically. 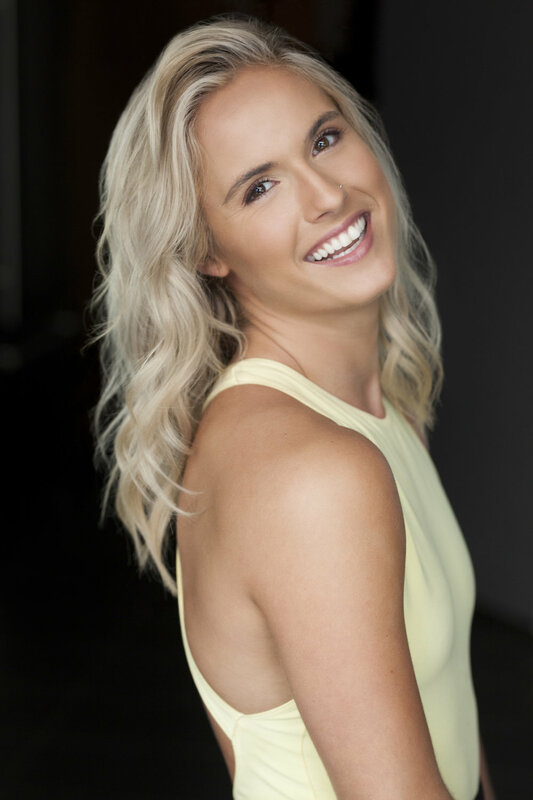 Kristie now pursues both the Film and Television Industry and Fitness Industry as the only single-handed Professional Dancer and Coach across Canada. Working to inspire and shine light to everyone in her path. WE ARE A TEAM. This programming isn't just about physique progression but we want to equally create your STRONGEST and most ENCOURAGING MINDSET that gives life to lost confidence. Your mind has an incredible amount of power and will absolutly control your physical results. As a mentor, professional and friend this relationship is built on TRUST. Let's team up and learn the tools you need to SUCCEED and BLOOM. Working together to build confidence and an unstoppable body to push forward and change your future. You are only one step away from the biggest and best commitment of your life. Lets do it together and I will be cheering you on by your side every step of the way! GYMFITT is an online fitness subscription program to empower ALL women to build strength and confidence starting from any level! GYMFITT programming will work through a 4-Week Progressive Overload Training Guide with 3 Workouts/WEEK! We will be working Upper Body, Lower Body, and Full Body! ELEVATE YOUR ARTISTRY! DANCERFITT is an Online Training Subscription Membership with exclusive workout programming and education for thriving Dancers who are ready to take on their strongest MINDSET, STRENGTH and PERFORMANCE. These programs are designed for Dancers wanting guidance in cross-training with education on program design and technique. I’m also soooo happy with the improvement I’ve made with feeling comfortable at the gym cause that was my biggest problem before and now I just feel so good!